x the coordinates of points in the plot. All other types give a warning or an error; using, e.g., type = "punkte" being equivalent to type = "p" for S compatibility. main an overall title for the plot: see title. sub a sub title for the plot: see title. xlab a title for the x axis: see title. 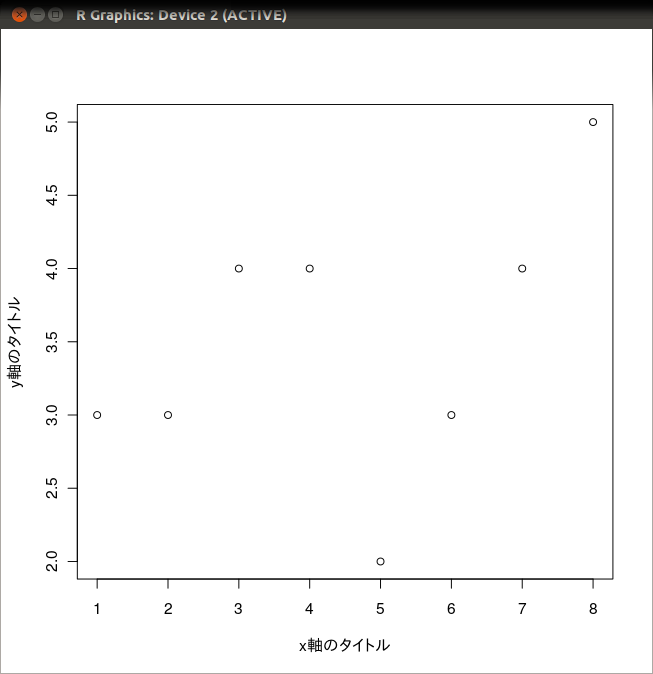 ylab a title for the y axis: see title. asp the y/x aspect ratio, see plot.window. See Also plot.default, plot.formula and other methods; points, lines, par. 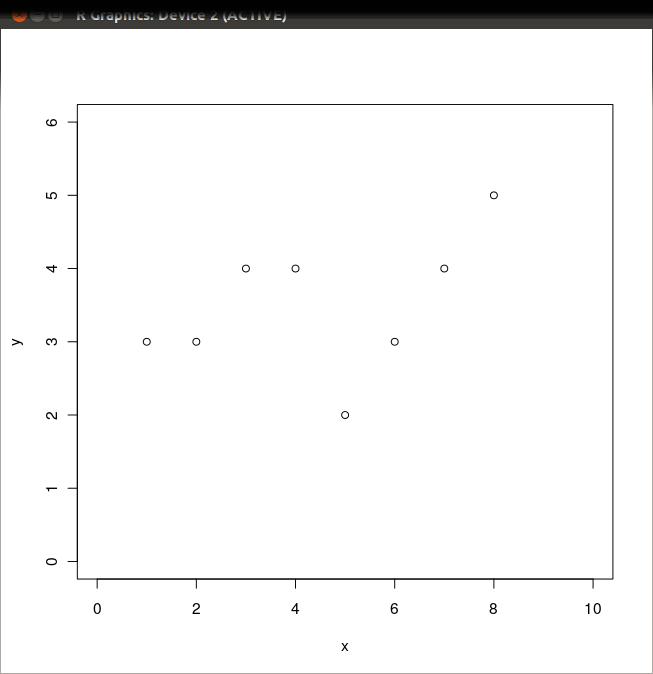 x, y the x and y arguments provide the x and y coordinates for the plot. 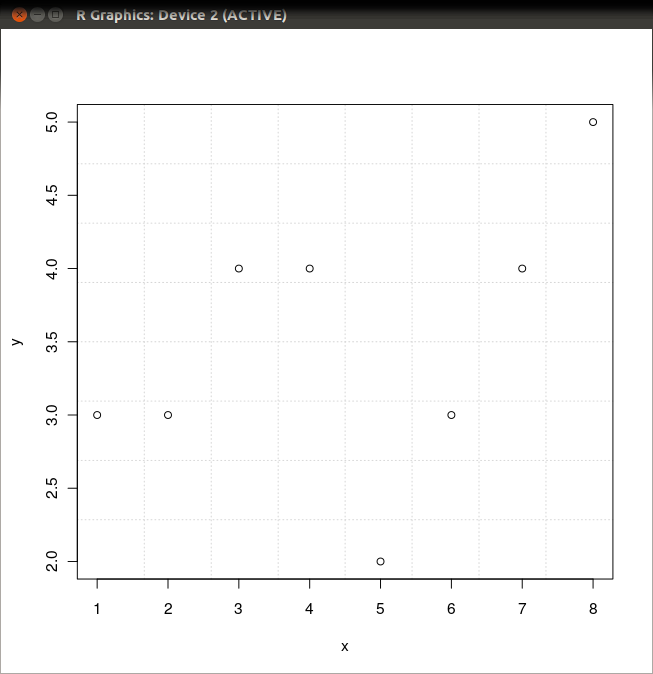 Any reasonable way of defining the coordinates is acceptable. See the function xy.coords for details. If supplied separately, they must be of the same length. type 1-character string giving the type of plot desired. 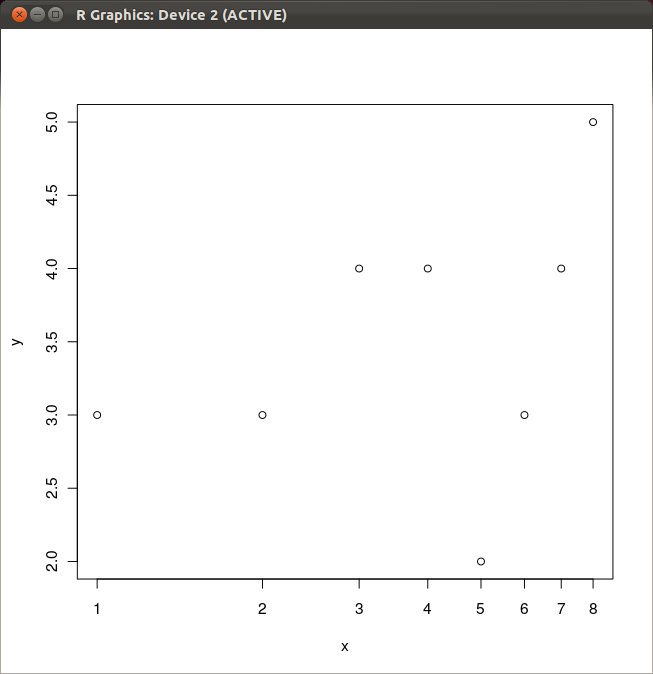 The following values are possible, for details, see plot: "p" for points, "l" for lines, "o" for overplotted points and lines, "b", "c") for (empty if "c") points joined by lines, "s" and "S" for stair steps and "h" for histogram-like vertical lines. Finally, "n" does not produce any points or lines. 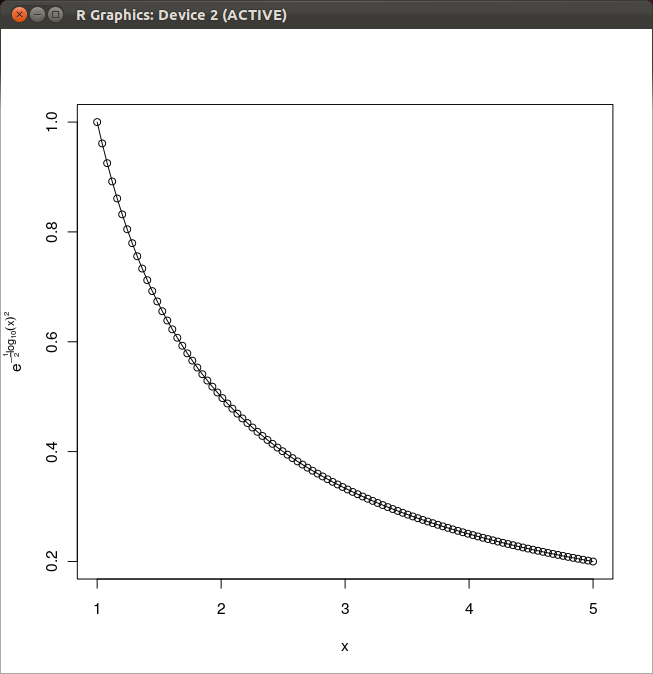 xlim the x limits (x1, x2) of the plot. Note that x1 > x2 is allowed and leads to a ‘reversed axis’. 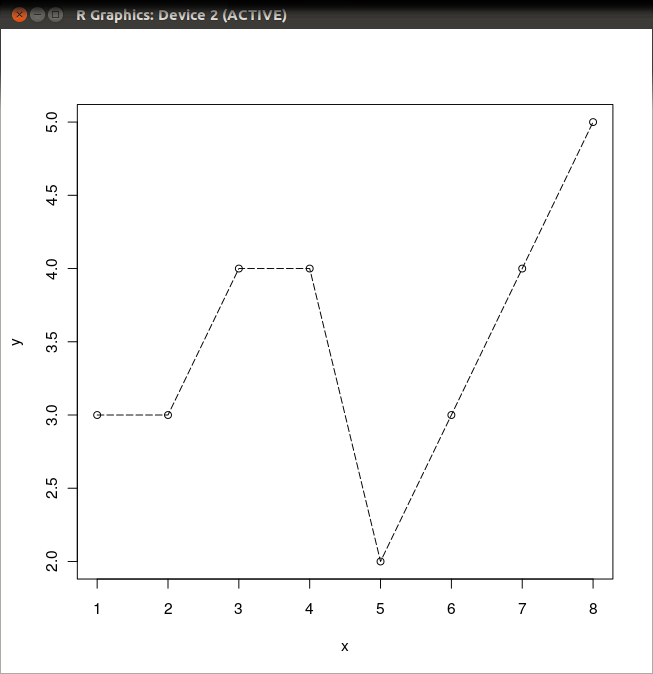 log a character string which contains "x" if the x axis is to be logarithmic, "y" if the y axis is to be logarithmic and "xy" or "yx" if both axes are to be logarithmic. main a main title for the plot, see also title. sub a sub title for the plot. xlab a label for the x axis, defaults to a description of x.
ylab a label for the y axis, defaults to a description of y.
ann a logical value indicating whether the default annotation (title and x and y axis labels) should appear on the plot. 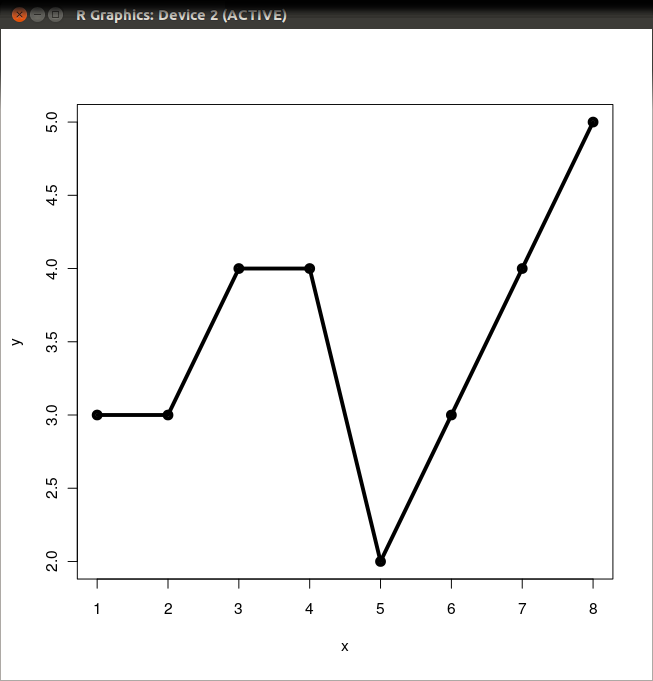 axes a logical value indicating whether both axes should be drawn on the plot. Use graphical parameter "xaxt" or "yaxt" to suppress just one of the axes. frame.plot a logical indicating whether a box should be drawn around the plot. panel.first an expression to be evaluated after the plot axes are set up but before any plotting takes place. 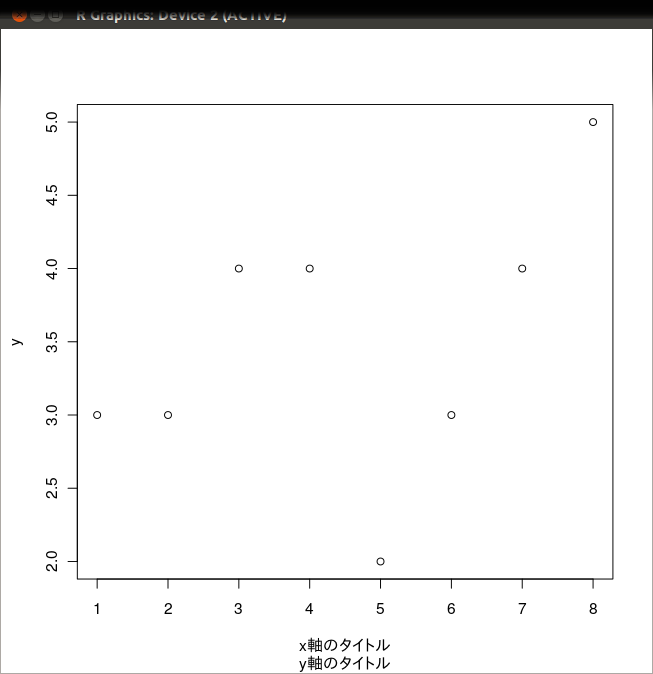 This can be useful for drawing background grids or scatterplot smooths. panel.last an expression to be evaluated after plotting has taken place. ... other graphical parameters (see par and section ‘Details’ below). col The colors for lines and points. Multiple colors can be specified so that each point can be given its own color. If there are fewer colors than points they are recycled in the standard fashion. Lines will all be plotted in the first colour specified. bg a vector of background colors for open plot symbols, see points. Note: this is not the same setting as par("bg"). 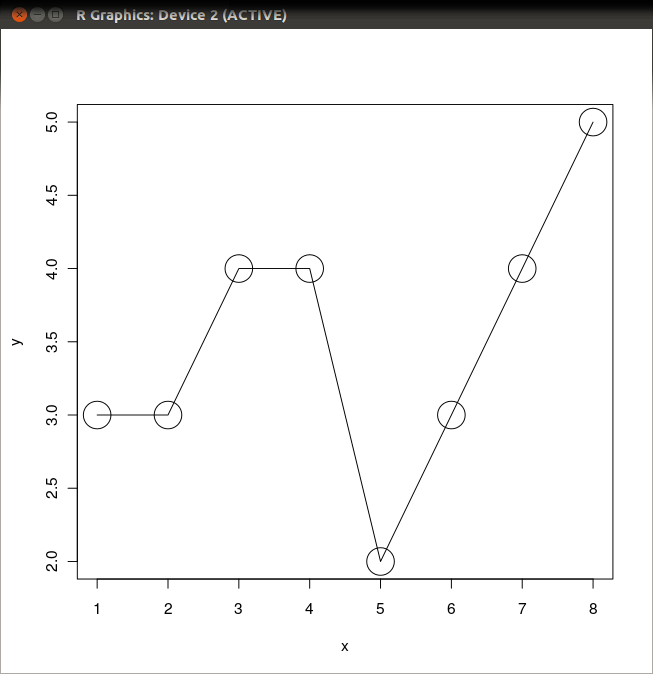 pch a vector of plotting characters or symbols: see points. cex a numerical vector giving the amount by which plotting characters and symbols should be scaled relative to the default. This works as a multiple of par("cex"). NULL and NA are equivalent to 1.0. Note that this does not affect annotation: see below. lty the line type, see par. cex.main, col.lab, font.sub, etc settings for main- and sub-title and axis annotation, see title and par. lwd the line width, see par. Cleveland, W. S. (1985) The Elements of Graphing Data. Monterey, CA: Wadsworth. 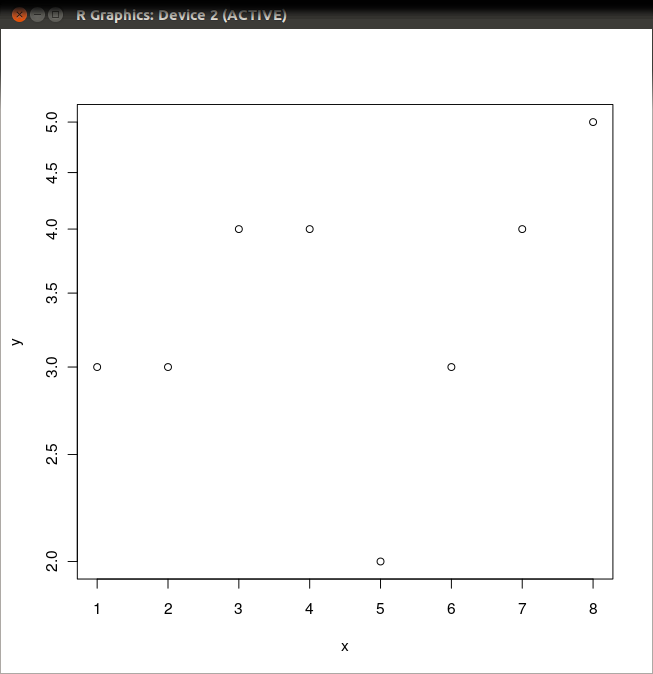 See Also plot, plot.window, xy.coords.